Five young teenagers who jumped into action are being hailed heroes after they rescued a little boy dangling from a ski chairlift at Grouse Mountain in British Columbia. 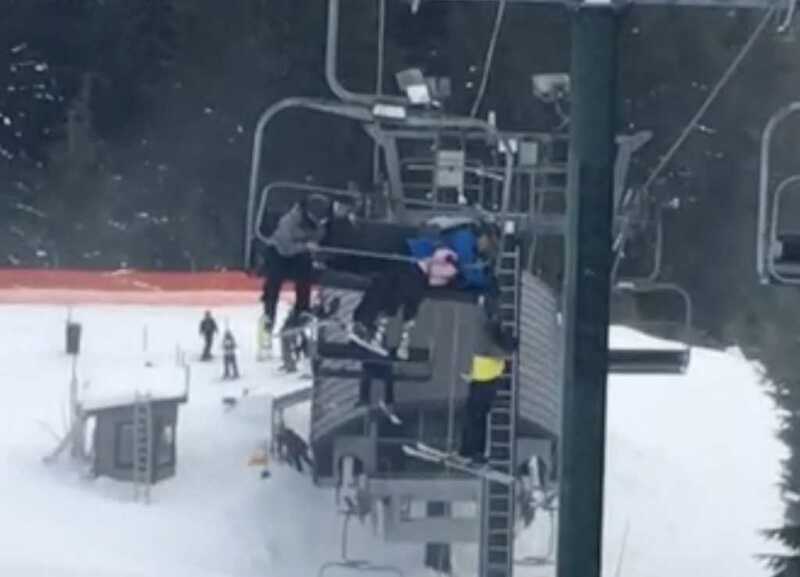 Video obtained by Global News shows a man struggling to maintain his grip on a young skier who slipped off the chair and was left hanging. Immediately, the group of teens hurried over to help the 8-year-old boy. Thinking on their feet — or skis — the kids grabbed some out-of-bounds netting, which they then used to cushion the little boy’s eventual fall. “And so then he dropped, and we caught him,” Nielson recalled. James MacDonald, one of the rescuers, said helping the young boy just felt natural. A spokesperson for Grouse Mountain said the boy was not injured at all but was transported to the hospital as a precaution. The rescuers met privately with the company’s president and were given free season passes as a thank you for their heroic actions. An investigation is underway to determine how the incident occurred.